There are enough horror themed games on PC to satisfy most thrill-seekers in need of a good scare. The vast majority are survival horrors and they tend to be action-packed first-person shooters. There are also a few atmospheric adventure games out there that bring various creepy worlds to life. These games are filled with hideous creatures and they all have one thing in common – they want to kill you or eat you, or usually kill you and eat you. Horror games have the same appeal as roller coasters. They provide a safe thrill — you want the risk of death without the actual risk of death. Zombies, demons, monsters, mutants, aliens and ghostly apparitions are all well represented. Let’s take a look at some of the best nightmare fodder around for PC gamers. This first batch of articles focusses on round-ups of great horror games on the PC. There are plenty of full sized titles to absorb you into the wee small hours. We also take a look at a few casual horror entries you can play online in your browser. The old point-and-click genre may be antiquated but it also lends itself to a horror backdrop and you’ll find five great options below. We finish things off with a close look at the top ten scary gaming baddies. These monsters and villains are truly the stuff of nightmares. This batch of round-ups and guides has more of a focus on specific horror settings or game series. First up we have a range of games inspired by Lovecraft and based around the Cthulu mythos he created. Everyone loves zombies and so they form the basis of the next round-up. These are five games that no self-respecting zombie fan can afford to miss. Speaking of zombies you’ll encounter plenty of them in the Left 4 Dead series and our guide provides you with the ammo you need to get out alive. Our last guide is all about the supernatural world of the Witcher. This batch of reviews covers a wide range of horror games for the PC. There are atmospheric journeys into the future, gore-soaked adventures set in the present day, and even a trip to hell to look forward to. The majority of these games are first-person shooters but there are a couple of third-person adventures in there too and Ghost Master is a rare strategy title with a horror theme, although it does have a comic approach to the genre. The post-apocalyptic future in particular has provided great inspiration for titles like Fallout 3, Metro 2033 and the S.T.A.L.K.E.R. series. You’ll also find some seriously chilling tension in games like the Penumbra series and Cryostasis. Bioshock 2 has one of the best, well-realised settings of any PC game and the Resident Evil series speaks for itself. So what are you waiting for? It’s time to tool up, turn off the lights and get bloody. Thankfully, there are new horror games hitting the stores all the time so we have a constant supply to satisfy that urge to be scared. What’s your favorite horror game on the PC? Which monster had you recoiling from the monitor? Post a comment and let us know. 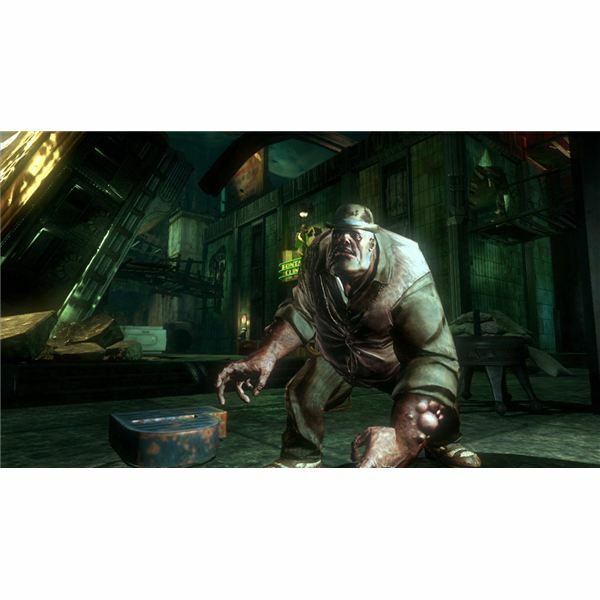 Screenshots from Bioshock 2, Left 4 Dead and Aliens vs Predator.